Thanks, and I agree. When I first started with cars/racing, I hated mustangs and camaros. What really starting moving me in this direction was the abundance of cars, parts, and information. I really enjoy this car now. It puts down power well, and is so controllable when it steps out. 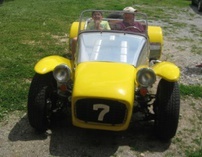 It sounds good and has great throttle response. Oh the sound of a Ford V8 uncorked.... the beautiful sound. I may not have the best, fastest or coolest car at the challenge next year, but I WILL have the best sounding car. I'm trying to think of a team name along that line too. jj before you have your intake ported, check this out. It's local to me, so if you want, I will pick it up and ship it to you. It's way out of a challenge budget though. It's a direct fit for our cars and already ported. If you are keeping factory EFI this is the easy button. I will be ditching the factory EFI post challenge, post haste. I can also help you burn your own chips if you like. I went to a class at Moates a few years back. I acquired an F3 chip today and will be burning it to run 24 lbers in my challenge car. Wow, I don’t see too many of those for sale. Unfortunately, Using factory parts in California is kind of like the SCCA update backdate rule. I would have to swap the whole cobra drivetrain to be able to legally use that intake. I have actually heard of people failing smog for this type of thing. My luck that would be me But I definitely don’t see many of those for sale especially for the 94-95. I am interested to learn about this class for tuning the mustang ECU. Where can I learn more about that? It would be nice to know. But if I supercharge I could always make due with the fmu and adjustable boost retard. If you can run an off road x pipe, that thing will sound awesome! Yes I can run an offroad pipe legally as of 1/1/19 in TX. Sorry you can’t use this intake jj, it’d really work on your car. Moates makes hardware to use binary editor or eec tuner on Ford OBD1 and OBD2 cars. The 94/95 mustangs are OBD1 with OBD2 features aplenty. For a supercharger you would be way better off to burn a chip that modifies the load table and run larger injectors and set the ECU for the injector size. You do realize your limiting component may end up the factory MAF sensor unless you can update to a 90mm Lightning one which is a Ford OEM part. With the right software and hardware Ford tuning is simple. Changing injector size is as easy typing the correct number in the correct cell. Modifying load and spark tables is trickier. So you mean a 90mm lightning maf is plug and play? Or does it require a tune or different connector? Does the Moates hardware modify the ford ECU directly, or does it require a piggyback chip on there? Sounds very interesting. I wonder if I can get that past smog as the CARB cert requires an FMU for the vortech. I will have to talk to the smog place here before I do anything. 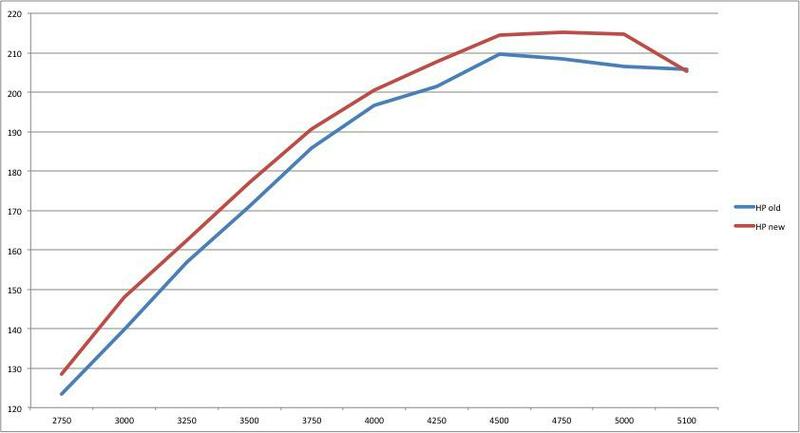 I had time to do some more dyno(app) runs today and compare with last year. Differences for today's runs were: New BBK shorty headers (old ones were JBA), no more header leak, no more restrictive exhaust gasket, BAMA chip (however the same total timing as last year), 89 octane instead of 91. Today was 5 degrees cooler than last year's runs. I think the exhaust gasket and chip are where most of the gains came from, although that is just a gut feeling. To make the graph, I did several runs, then threw the outliers out, and averaged the best 3 of what remained. It is an ipad app, but its some where to start. I had to transfer the info to excel manually though. It is strange that at the top end it really falls on its face harder than the old runs. by the way, I am so glad I can drag and drop photos to the forum now. I must have missed this for several years now? Moates uses a piggyback style chip on your ECU port. Yes you can use any MAF sensor. You need the flow curve vs pressure for that sensor. Aftermarket sensors are hard to get data for but Ford publishes the data for their sensors. You literally just type in the numbers into a table plug in the 90mm sensor and viola. 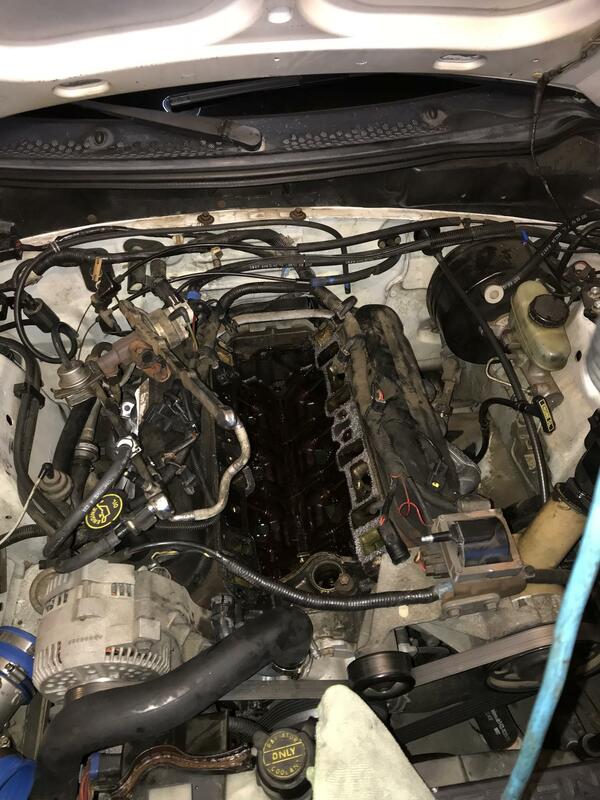 Some aspects of tuning are hard but swapping injectors and larger MAFs is literally easy mode. The BAMA tune probably makes slight modifications to timing and fuel tables but you can learn to do that too. Valvesprings... My guess is you have valve float at 5000 rpm. With 179k on the clock this is not to be unexpected. Hmm. I never thought of that. Can I change them with the heads on? I got the intake off today. I ran into two problems. One of the lower intake bolts snapped off. I hope it won’t be too hard to drill out. Next, one of the plastic pieces on the bottom of one injector broke as I was removing it. Does anyone have a 19# injector they want to get rid of? jj I can probably send you a 19 lb injector or two myself. Send me a PM with address. 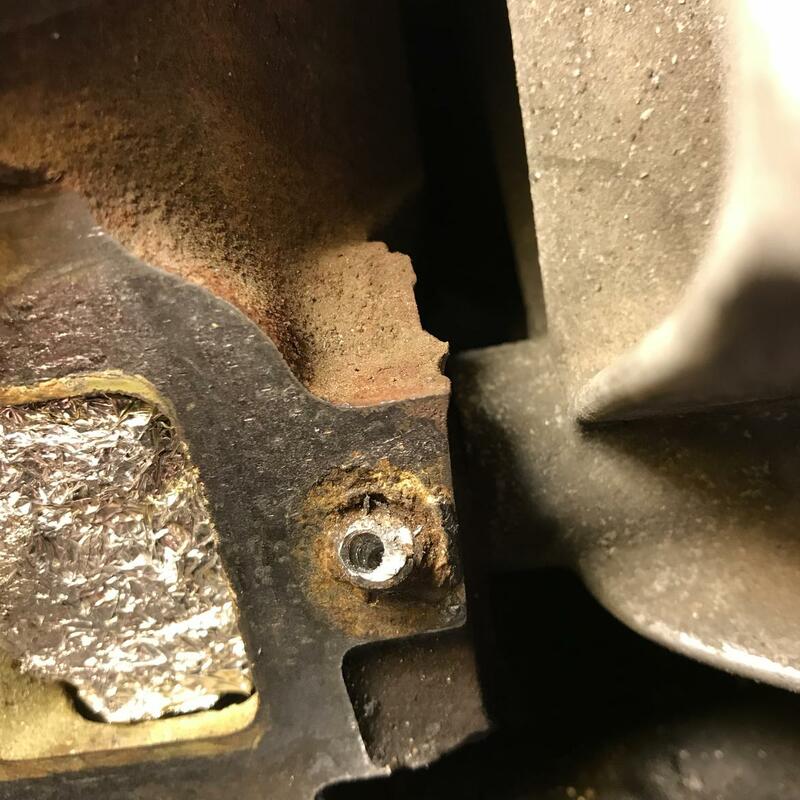 If you have a picture of the intake bolt you lost, I probably have a coupe of them too. Also I've been wanting to ask how do you like your Apex wheels? I must got a set for my 996 and am thinking about them for the Mustang post challenge. Are the offsets okay? What size and offset did you use? Could you go wider in the front and rear or rear only? Anthony, thanks for the help. PM sent. Also, I was able to find a full Moates class on Youtube. It's seems like it's 18 hours long, so I can learn a lot from that. Here's a link if anyone is curious. As far as wider in the front, I saved a link on my other computer with a offset combo that works in front without coilovers. It was from an old ESP SN95, and I think they were running 10 or 11 inch wheels in front. I'll try to find that link for you. It can be done, I've got a 17x10 +18 on the front of my SN, sits right on the edge of the front fender however. Yes you can change the valvesprings with the cylinder heads on the car. You need a valve spring compressor, rope, and lots of patience. Pull the spark plugs. Rotate engine by hand until the cylinder you are working on is near TDC (no compression from rockers on both valves). Fill cylinder with a soft rope. Turn crank sane direction until rope is solid against valves. Use spring compressor, remove keepers, them retainer and valvespring. If doing this, remove old seal and replace! Check valve guide for wear via wobble. Put on mew spring & retainer, compress spring insert keepers. A brass drift or hammer really help to free retainers from keepers and move things as needed. I’ve done this on GMs and Fords. Works on any OHV engine. Thanks, that doesn't sound too bad. It's not bad. If you'd like and have questions you can send or post some pictures and I will talk you through it. The key is to make sure the rope is tight against the valves so that you don't drop a valve into the cylinder head. Sometimes they will drop an 1/8" or so but that's no big deal. You'll still be able to get the springs, retainers and locks (keepers) back on. A magnetic screwdriver or small magnetic tool really helps to snag the locks (keepers). A brass drift really helps knock them loose. You can use it to tap the top of the retainer before you compress the spring. The alternate method is to use a compressor and spark plug attachment and let air pressure hold the valves in place. This was the first way I learned and the way GM does it to replace their terrible valve stem seals and stop engines from smoking. I actually think the rope method is safer and there is less chance of dropping valves with the rope. If using a compressor and the power hiccups, you have dropped valves. By the time you've done one cylinder you will be a pro, and it'll be super easy. Trickflow makes a full on replacement valve spring kit and so does Alex's parts. I'm actually working with Alex's parts for my challenge car as I do not trust the stock valve springs either. You can look up Alex's parts GT40 heads, and just send them a message or call. They are having a small sale right now too. I'd get seals from them too and consider shims, but they probably won't be necessary. You should measure your installed height with a dial caliper and make sure it's in spec though. Also double and triple check your timing, ignition components, etc. These cars will have high rpm misfires something crazy if things are off. I used to run octane booster in my '95 GTS and it helped a lot with high rpm pinging. i can’t make up my mind if I want to invest money in these heads or not. If I go supercharged I will use these heads and try my hand at porting a little bit. Or it will be AFR 165s. 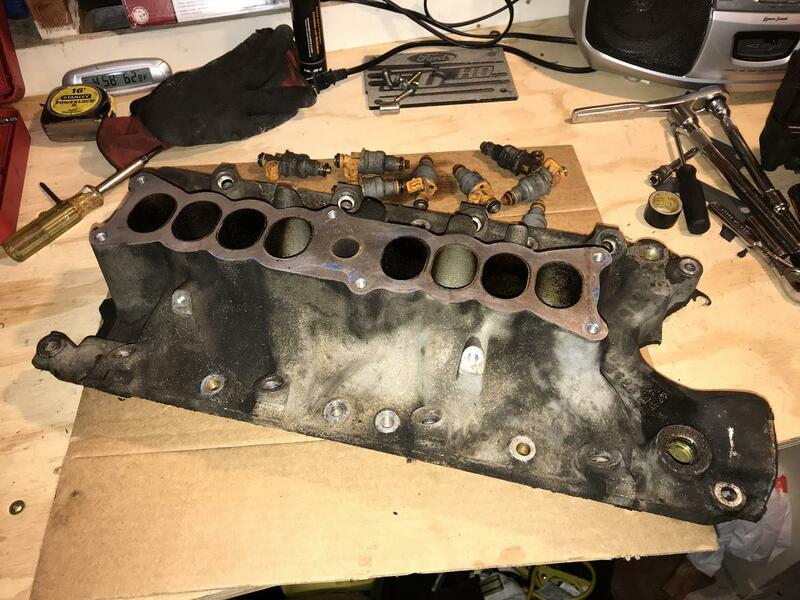 I think my goal in the short term will be to get the intake manifold done. And I am going to try some DIY aero. The place where I autocross frequently has 55 to 65 mph sweepers and think it could make a difference. Good basic info on diy aero. it looks like it has an actual airfoil shape. I would have to move the mounts further out, but it might be worth a try. I definitely won’t spend money for an APR or similar wing on this car. 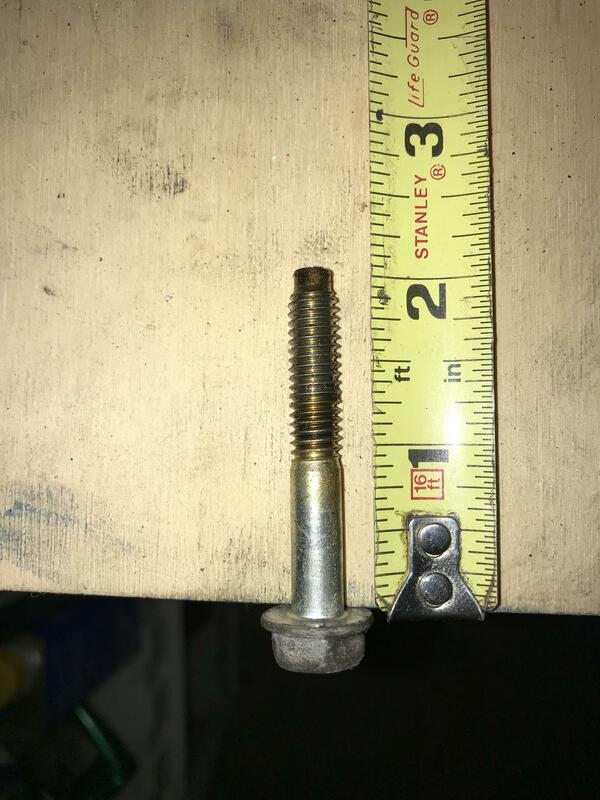 I started working on this bolt that broke off. So far it’s a no go. The easy out is spinning in place. So I may drill it more and use a bigger size, but the hole is off center so I don’t know how far I can go. Admittedly I don’t have much experience with this. Other option which I really don’t want is to take the head off and take it in to a shop. yes get a few different screw extractors to try. If you break one off in there you are hosed. Machinist drill bits also come in very fine increments. If you can split it with a chisel you will win too. Sometimes you can tighten it to break it free too. If you drill it out big, you can always repair it with a helicoil. If you do have to pull the head, pull both, and redo the springs and seals and think about a valve job. If you are going to spend more than that go aftermarket. I have decided to remove the heads. I still have to find a machine shop to remove the bolt though. The seals aren’t leaking and I am cheap right now, so they will probably stay. Springs, definitely. I will be checking those places recommended by Anthony. What I am excited about is that I am going to port these heads myself. Nothing major, but just grabbing the lowest hanging fruit. A while back I bought a David Vizard book on porting, and I have been following a thread he started on porting the E7s specifically. So I have been studying that as well as some basic tutorials. So I think this my plan. I seem to change my mind often. That’s why this is a hobby! Have fun I think Vizard is a decent source. Remember polish the exhaust side all you want but the wet side needs roughness and turbulence to prevent fuel puddling.